If you have high criteria considering your kitchen cleanliness, our cleaning agency should be on the first place in your call list. 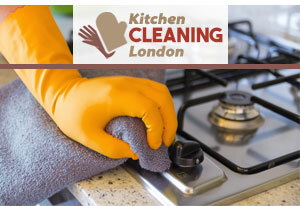 We specialized in kitchen cleaning and we can proudly say that we are on the top in Bowes Park, N22. We work hard to meet all of your requirements and keep all of our customers. We can give you a guarantee that after our cleaning team visit you, you will see your kitchen from a different prospective. The reason why we are on top is that we are not satisfied only with quality, but with the state of perfection. Get in touch with us and let the results talk by themselves. To maintain the necessary hygiene and the impeccable condition of the kitchen in your home, pub, restaurant, hotel or other property, use our services. The kitchen cleaning provided by our company in Bowes Park, N22 is reliable, effective and professional. Get in touch with our kind representatives to schedule the service and leave the rest in our hands. Our staff are supplied with modern and powerful tools, machines, detergents and preparations which they use to soak, scrub and sanitise white goods and furniture inside and out, worktops and sinks. They empty the bins and sterilise them, sweep and mop the kitchen floors. If you need effective cleaning of your kitchen to ensure thorough and complete removal of the grease, stains, burnt food and crumbs from all surfaces, use our services. 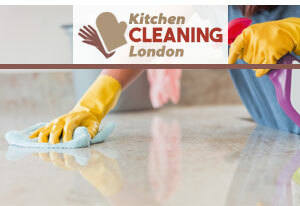 The kitchen cleaning we can offer you in and around Bowes Park, N22 guarantees excellent results and isn’t expensive. The work of our staff includes wiping and scrubbing internal and external surfaces of all appliances and pieces of furniture. They dismantle and soak the removable parts of whit goods in hot cleaning solution, wipe and sanitise fixtures, fittings, sockets, switches and shelves. Our cleaners wash and rinse sinks, taps, tiles and worktops. If you have hard times finding someone competent and reliable to do your kitchen deep cleaning to your personal high standards, you should call our company right now and book our professional kitchen cleaning service. We are the best company to turn to for such help in Bowes Park, N22. Our cleaners will clean your microwave, your oven and refrigerator in detail, and will of course damp-wipe all other appliances, degrease the counter and extractor hood, remove spots, dust and mop. Your entire kitchen will be deep cleaned with our professional products by our detailed professional cleaners, and they will also disinfect your kitchen. Get in touch with us now.